The Illinois Department of Financial and Professional Regulations (IDFPR) grant the Illinois Social Work License to candidates who meet the requirements. 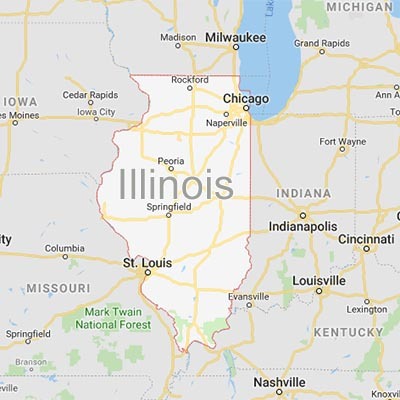 Their website can be found here, or you can call them directly at (888) 473-4858, as it’s always a smart move to connect with someone directly to make sure you’re taking the right steps towards meeting your Illinois social work license requirements. Illinois offers two levels of licenses for social workers: the Licensed Social Worker (LSW) and the Licensed Clinical Social Workers (LCSW). Both baccalaureate and masters level social workers can operate under the title of LSW, but the difference is the baccalaureate must also have post-graduate supervised work experience to receive the credential. Candidates holding only a baccalaureate degree must gain three years of in-field supervised work experience to get their LSW. The duties must be social work related. Once this experience is complete, the supervisor will need to verify the experience, rate the applicant, and note the percentage of time working in different areas of social work service. The applicant must be rated within satisfactory range. Candidates holding master degrees, do not need the above experience and can register as an LSW after graduation. To apply, fill out the LSW application packet. Know this application contains a form that must be filled out by a representative from your accredited school of social work. There is a $50 application fee which is separate from the exam cost. Once you’ve obtained your masters degree from a CSWE-accredited school, you can register for the LMSW exam immediately. The LSW license is a necessary step towards become a Illinois LCSW, unless you want that license. Apply for this exam through the ASWB by filling out the LMSW exam application. Then once you have your exam date, start studying using TDC’s LMSW Exam: ASWB Master Level exam prep. You passed the exam? Congratulations! You’re now an LMSW and it’s time to get into the field to earn your hours towards your Illinois Social Work License requirement. Masters Degree holders must obtain 3000 hours of supervised work experience, while Doctoral Degree holders only need to obtain 2000. Candidates should work between 15 and 40 hours per week. Full Time should be minimum of 30 hours per week, maximum of 40. Supervisor must be a LCSW. If an LCSW is not available on site, the employer may contract with an LCSW for services. Group supervision is permissible. STEP 5 - Register for the LCSW Exam, Study Smart, and Pass! When you’ve completed your supervised hours, fill out the Illinois State LCSW License application and submit it for eligibility. Once you’ve received your eligibility from the state, contact the ASWB to schedule your exam, and then start your studies with TDC’s LCSW Exam Prep: ASWB Clinical Level Exam program. Once you pass… CONGRATULATIONS! You’ve earned your Illinois Social Work License and can proudly say you’re an LCSW! We wish you the very best on your career.